Fun Find for Beauty and the Beast and Jim Shore Fans! 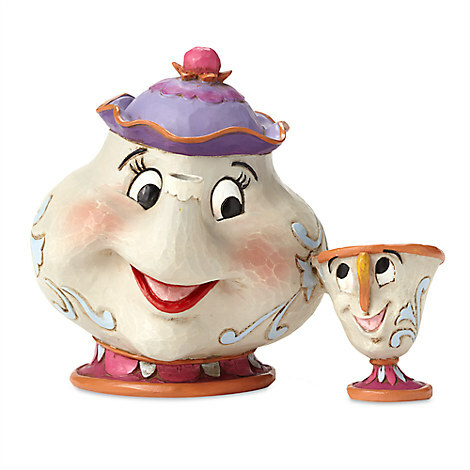 This little Potts and Chip Figure by Jim Shore is called “A Mother’s Love” and we can see why! Look how much they adore each other! Mrs. Potts is definitely doing something right! If you’d like to reward your mom with something special for all the things SHE’S done right, check out our Favorite Disney Gifts for Mom Gift Guide! I just took a Facebook quiz and said that Mrs. Potts is the Disney Mom I am most like. So obviously – I need this.